Write. Revise. And keep going. The hardest thing for me to do as a writer was finish a novel. I still have to fight the feeling of panic I have when I write a first draft, that fear that I will never get it done. The only way to succeed in this business is to keep writing. And if you don’t succeed the first time, try again. I have always loved Pride and Prejudice. I love how a story written two hundred years ago can transcend its own time. Once I got past the old world language, I was immediately sucked in by the characters, the humor and a romance that made me swoon. It’s one of the few books I’ve read multiple times. Where did you get the idea for Silver? So many places. A lot of the situations Brianna found herself in were cribbed from my own life. met my husband playing quarters when I sixteen, and then he dated my best friend. I owned a rescue horse I had to train and sell to pay for college. My best friend came along on my first real date. The mythology came from a combination of Celtic myths. Ireland has a rich history of myth and folklore, and I wanted to explore the idea of how that magic might fit within modern times. I discovered the story of the Milesians banishing the gods from Ireland, and that led me to thinking about how the gods might fight back. Did you hit any snags while writing Silver? What were they and how did you fix them? Many. The first big snag was making the commitment to finish the book. I had started and stopped writing so many times, that it was a challenge for me to make the time to get this book done. After I got my agent, I did a very significant revision, which basically involved throwing out about half of the book and starting over. It was worth it though, as I really felt like I found the story then. 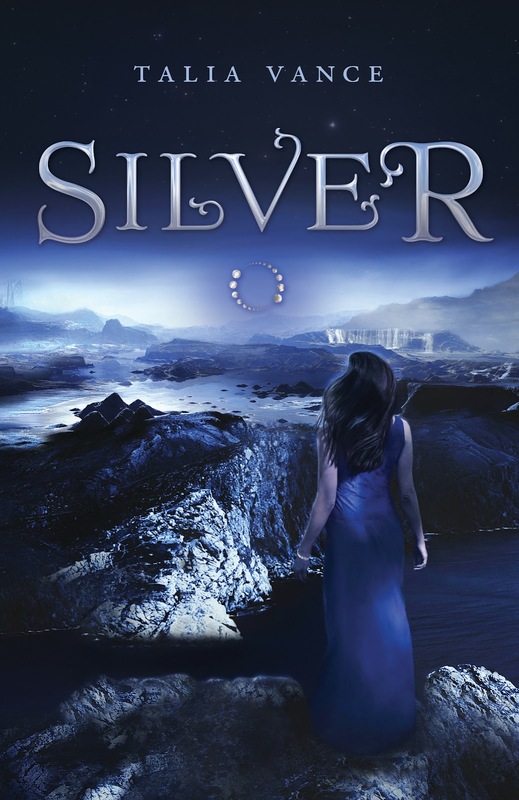 Which one of the characters in Silver is your favorite and why? I love writing Austin, because every scene he is in is so full of layers. On the surface he is so British and charming, but he always has an underlying motive, and I love discovering what that is. Even so, I have to say that my favorite character is Brianna, because I experienced the story from her point of view. I love the way she grew throughout the story, from a wallflower who kept her heart guarded with science and logic, to a strong young woman who made her own decisions about how to fight and who to love. So, I’m big into Celtic myth, but I’ve never come across a “bandia” before. Is that of your own making or something real? What is it exactly? Bandia is the Gaelic word for goddess. Before Christianity, Ireland had its own Pagan culture and myths involving their own deities. I spent some times looking for Gaelic words that I could work into “my” mythology which was a backstory that I invented based on bits and pieces of real Celtic myths. For example the story of the Milesians tricking the gods into leaving Ireland for the underworld is a myth used to explain the absence of the gods from our modern world, and the rise of Christendom in the Celtic world. That was the starting point for my story: what if the battle for control of the world between the gods and humans never really ended? How come you picked Celtic myth over other schools of myth? What about Danu compelled you? I felt like Ireland already had such a rich history, so full of legends and magic, it was the perfect backdrop for my story, which I knew was going to be based on myth. I started researching American superstitions and was surprised at how much of our modern belief system has Celtic roots. Then I started researching Celtic gods and goddesses, and I was fascinated by the story of how humans succeeded in banishing the Tu’auth De Danu to the underworld. I wanted to see how that conflict might still be played out by the descendants on both sides- those of Danu and those of the Milesians, who I imagined as Crusaders. I loved the idea of goddess as warrior, and as embodying female power. So, you’re an attorney by day and a writer by night. You’ve been telling stories since you were a child, but what made you want to get published? I love reading books and discovering characters and worlds for the first time, so it never occurred to me that I wouldn’t want to try to get my writing published and share it with others. There’s something truly amazing about connecting with other people through stories. You’ve got quite a few books coming out in the next few years: Silver, Gold (the sequel to Silver), and Spies and Prejudice. What are you working on next? Right now, I’m still working on edits for Gold. There is a possibility of another book in the Bandia series, but nothing’s been decided yet. I have a new project that I’m excited about, but I can’t talk about it yet, except to say that it’s YA, full of action and romance, and a lot of fun to write. Why did you decide to write YA books instead of adult oriented books? I’m pretty sure that when I started writing, I didn’t even know that YA was a genre. I think that I naturally write in the voice of a 16 or 17 year old girl because I never left that age emotionally. I fell in love with my husband when I was sixteen, and although we didn’t get together until years later, I still remember that feeling of falling in love and the insecurities that went along with it. I love that young adults are so full of promise and possibility, and I never want to lose that feeling that anything is possible. So that’s what I write. 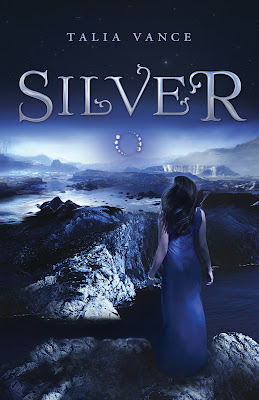 Talia is going to send a signed copy of her debut novel, SILVER. Silver: "As I step into the room, a silver flash blurs my vision. Before I can take a breath, the world falls away." Buy it at Barnes and Noble. Enter the giveaway using Rafflecopter. Hit the green "Do It" buttons, follow the prompts, and hit the green enter buttons when you're done. (You may have to log in using Facebook to do this). There will be one winner (selected by Rafflecopter). I will contact the winner via email. This contest is open to national entrants only. Nice to meet you, Talia! What is it about lawyers and writing, lol? In a former life, I worked for the attorney general in DC. That was before I gave myself permission to become a writer. Never looked back since. Your story sounds amazing. I love Celtic mythology. Great interview, A.L.! Nice to meet you too Brandi! 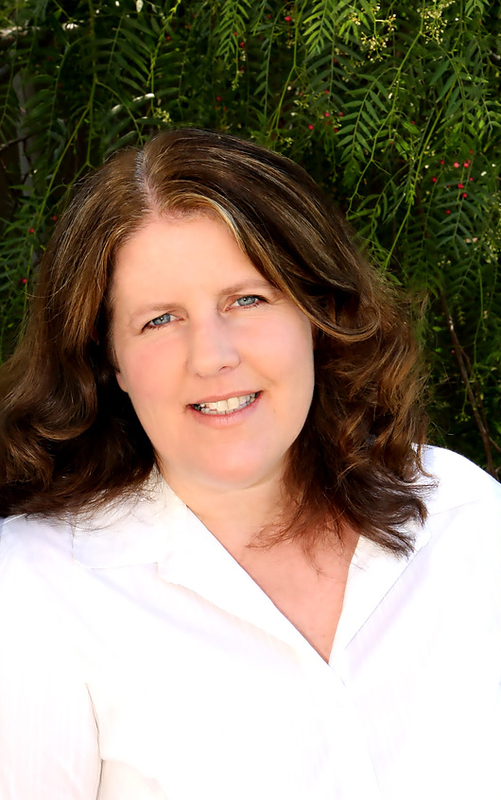 I am still a lawyer, and I think it's because there is a storytelling aspect to this job. Great interview Al, and Talia. :) Question. Are you the same Talia Vance who used to run Guiltless Pleasures?